First, let me set the landscape for you: Per the U.S. EPA 2012 report, 28 billion pounds of textiles is discarded by U.S. homes annually. That’s about 70 pounds per person. Only 4.2 billion pounds (15%) of that is donated or recycled. Leaving 85% or just under 24 billion pounds of textile waste going to U.S. landfills. Not-to-mention, even donated clothing can end up in the landfill, too. Sometimes these clothes get sold overseas, make the long journey to get there, are not sold, and end up in the trash. Well, it might be out of our immediate visual landscape, but the fact is, there really is no such thing as ‘away.’ Nope, it will sit, and sit and sit …. Valuable resources, buried in the ground for the next 500 years+. Synthetic fibers (e.g. polyester, nylon, elastane) won’t biodegrade in this lifetime and neither will blended synthetic/natural fibers (e.g. cotton/poly, cotton/spandex). Natural fibers will best decompose in a composting facility where there is just the right amount of air, temperature and sunlight (if the entire garment was designed to support this)… but in landfill can produce methane emissions, where, if not captured, are a powerful greenhouse gas. Instead, waste actually equals food and nutrients for other systems and metabolisms. We’re talking about a smarter, eco-effective use of all that time, money and resources we put into making our clothes. Makes a lot more sense, right? Also, there’s no such thing as “end of life,” there’s no such thing as “end of use.” Why? Because there’s no “end.” The word “end” insinuates completion. We’re not talking about a completion, but a continuation. 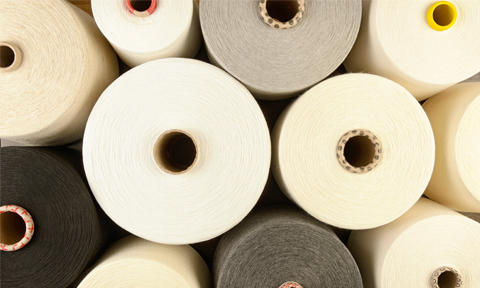 The words we use on a daily basis can influence our perspective, attitude and behavior; so let’s get rid of the word “end” when we’re talking about textiles. Cradle to Cradle by-design emulates natural systems. Let’s start looking at textile and apparel materials as we would the hydrologic cycle: Borrowers use the molecules or materials and hand them off to another borrower who will use those molecules and materials and then will pass them off to another. Repeat. There’s no end, no waste. Again, quite stunning isn’t it? Last year, the Cradle to Cradle Products Innovation Institute and Fashion Positive joined the Sustainable Apparel Coalition’s (SAC) “Recycling Innovation Working Group,” a working group focused on identifying opportunities for fiber recycling of pre-consumer and postconsumer feedstock into virgin-quality yarns. The group kicks off in September with a series of calls that will culminate in an in-person meeting during the Cradle to Cradle Products Symposium in NYC on November 12. The in-person meeting will be a collaborative gathering of global brands and 10 innovative fiber recycling companies that will present their innovations to the group. The group will then decide on next steps for 2016—which is potentially to include leveraging industry investment to support the work. **This story first appeared on the Fashion Positive blog here. This entry was posted in Recycling and tagged Cradle to Cradle, Fashion Positive, Recycling.